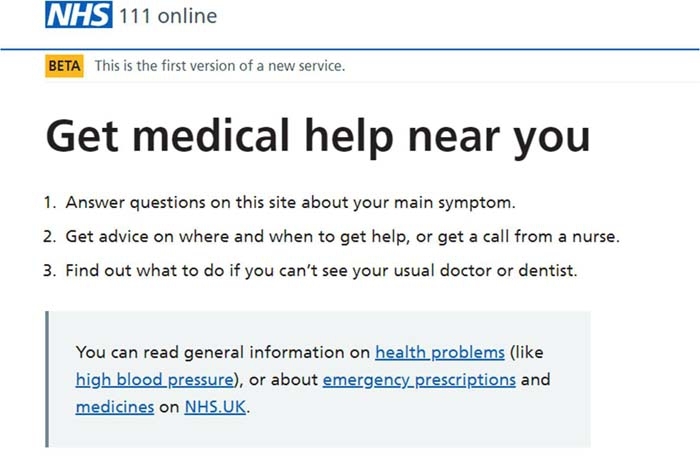 If you feel unwell you can now visit NHS 111 online for health advice. NHS 111 online uses the same clinical processes as the 111 phone service, taking you through questions about your symptoms to receive tailored advice on what to do next and where to go. You can access NHS 111 online (111.nhs.uk) on a smartphone, tablet or computer – 24 hours a day, 7 days a week – and if needed you will be connected to a nurse, emergency dentist or GP. This new way to access NHS 111 provides you with another convenient way to get the right help or advice when you need it. Whether on the phone or online, NHS 111 will ensure you get the right care, from the right person, as quickly as possible. So, if you think you need urgent medical help, call NHS 111 or visit 111.nhs.uk. ‘Help Us Help You’ know what to do.